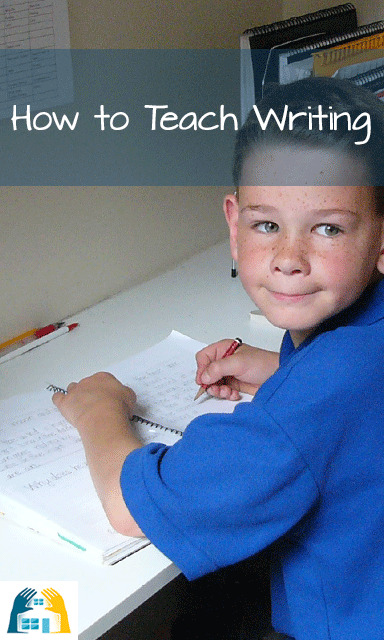 Are you wondering how to teach writing in your Homeschool? Writing can be a joy or a burden, depending on who you are ... and how you teach it. As homeschooling parents, we sometimes worry if our kids are doing enough writing or is grammar worthwhile and can we include grammar in writing lessons rather than another addon?? Is it possible to tie a few subjects together (always a great homeschooling policy, and in reality a necessity if you want to swim and not sink!) 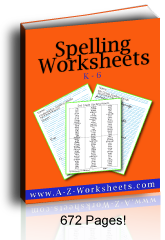 - and whether it is possible to base language arts lesson plans on literature. The answer is "yes" and I urge you to keep it simple. Follow this simple and yet effective plan to learn how to teach writing. Below is my 10 Step Outline to help you know how to teach writing. Of all the how-to-questions about teaching as home educators, I think how to teach writing holds the most fear. So how do you teach writing? Follow the simple outline of the writing process and the steps involved in teaching writing. Of course, there are a number of ways how to teach writing and the specific writing skills and I will deal with those at the end of the page. Firstly I want to describe the general progression involved in the writing process. Tracing letters and Teaching the correct letter formations. Copying sentences – copying punctuation. Writing from Dictation of large selections. Let me now expand on these above topics on how to teach writing. Firstly you need to know how to teach writing preparation. This is the beginning step, which should be done with great care, especially emphasizing the correct pencil grip. It is harder to correct bad habits, so it is better to begin in the right way to start with. The ﻿Light Educational Ministries Phonics Manual shows you how you can teach writing formations and lists "Three P's of Writing Preparation: Posture, Pencil Grip and Paper Position." Posture Sit with buttocks pushed to the back of chair. Have feet flat on floor (use a footstool is the chair is too high).Head should be held up, not drooping forward. A drooped head strains neck and back muscles. Back should be straight, with the trunk leaning forward from the hip joint for a comfortable writing position. Pencil Grip Use a six-sided (hexagonal) pencil. Hold it between thumb and middle finger. The pencil should be held lightly enough so that it can be pulled out of the hand easily, but firmly enough to maintain good control. Hand and finger muscles should not be tightly tensed. Write with the point of the pencil and hold it just above the shaven area. Paper position The side edge of the paper should be parallel to the arm holding the pencil. The other hand should rest above the writing to steady and move the paper up and down as needed. The left-handed student will do the same, but the paper will be at the opposite angle. Be sure that the left-handed student rests his pencil hand below the baseline, not above the writing. I have found the pencil supports beneficial to teach children the correct placement of their fingers. It is good also to encourage them to write large letters either on a whiteboard, in a sand tray, or on a chalk board, or in paints etc. Also that's just fun to do! The only Handwriting books I have used and enjoyed using are the “A Reason for Handwriting”. These books are based on Scripture verses. They teach correct formations over Days 1-4, copying the words in a Bible verse, and then culminating in Day five in which they write the whole Bible verse on a Scripture Border Sheet. This program covers how to teach writing concentrating on both the letter formations and words but at the same time, learning Scripture. Once your child has begun to form their letters, let them copy some easy words. Begin with an alphabet book with cut out or drawn pictures of the letter, and the child can copy the appropriate word under the picture. Number books – copying the words and drawing the correct number. Family books – writing the names of the members of the family under photos. Journals – a drawing of their experience with your writing, out of which they copy a few words. The ideas are endless. At this time, you can begin to enjoy the whole idea of lapbooks and very simple ideas of fold-outs for delightful projects, in which the child can write a few words here and there. These can be a very enjoyable way how you can teach writing in the context of other subjects. As your child becomes ready to copy more than just one word, they can copy sentences. From the beginning, a high standard must be set. The books they create must be treated as a very special keepsake, and so all their work, must be done in the best manner possible. To help them copy and begin their writing, I would write my sentence on their page and they would copy the words exactly under what I have written. This also helps them to understand that each word needs its own space. The beauty of copying is that you do not need anything apart from what you are already using. Copying is an extension of whatever the child is listening to. 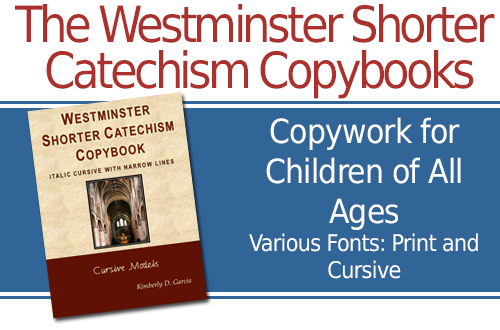 Copywork should come from the most excellent literature, and therefore, the Bible is an excellent source. My children have always had a small Bible Copybook in which they copy the Bible verses which they are memorizing. 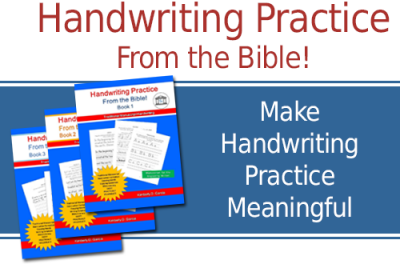 In this way you can focus on how to teach writing at the same time as learning scripture. Apart from our Bible Copybook, we have a Writing Treasure which is a blank notebook (Art book) into which they copy poetry and excerpts from literature. This is a crucial step in how to teach writing, and yet is so simple (and cheap) to do! 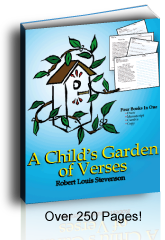 A Child's Garden of Verses - poetry by Robert Louis Stevenson is excellent for copywork. Through the years, I have selected poems, which I would like all of my children to have in their Writing Treasures, and organized them year by year. Sometimes, we all add the same poem, but mostly the children are working on their own poems. The Literature they include in their Writing Treasures are from the books we are reading. It may be an historical fiction novel, a biography or another excellent source of literature. We copy Aesop’s fables from time to time also. Copybook is a very effortless way of teaching a number of writing skills. It is an easy way to teach correct punctuation. The child needs to copy exactly what you have written and so they need to copy the capital letter and the period or fullstop. As the difficulty of the passage increases, there are other aspects of punctuation which will be taught in the context of real writing- commas, quotation marks, semi-colons, colons and so on. Another benefit of simple copying is that children are seeing words written correctly, and are copying them in correct spelling. They may not be reading fluently, yet their eyes are constantly observing how letter patterns are formed, and also subconsciously realizing that there are no patterns of d followed by b, or t followed by f and so on. These phonics and spelling worksheets from PrintNPractice can help your child to practice writing words and "A Child's Garden of Verses" Copywork contains useful poems for your child to copy and gain confidence. Find out more about the PrintNPractice Worksheets here. Ideally, the next step in how to teach writing to your children is to copy a passage one day and write it from dictation on the next. If it is a longer passage, it may take a few days before it can be written correctly. Once it has been copied, it should be studied to note the spelling and punctuation and then written from dictation. Dictation is simply the teacher saying the passage out loud and the student writing it. At first, you will need to re-inforce the punctuation of a sentence and this is part of the learning process. “Remember, when we begin a sentence we begin with a capital letter. The first word I want you to write is ‘The’. ‘The’ begins with a ‘t’, so make sure your first letter is a capital.” This procedure must also take place with the introduction of every new concept. As time goes on, the child will not need your prompting and you can introduce the dictation time by saying that this will be a test to see if they know how to begin and end a sentence. I have read of others who copy a passage on one day, and then the child either writes the passage from memory the next day, checks and corrects it or writes it from dictation, checks and corrects it. This is continued through the week, until the passage is written correctly. By this time, the passage is mostly stored in their memory also. I have not used dictation in this way, but I am tempted to give it a go, because it works not only on good writing mechanics, but also forces precise memory skills. 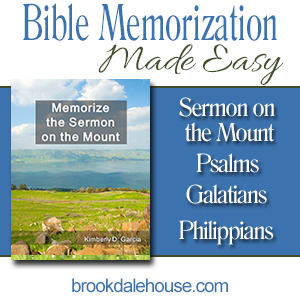 Each week, they would be memorizing an excellent excerpt of literature, poetry or the Bible. That’s worthwhile and a simple approach to how to teach writing. The selections of writing and the level of difficulty can increase as the child matures in their ability. It is very important that you train your child to listen very carefully to the passage being dictated and only repeat the line twice so that they must pay attention. I have also taped my dictation passages (as I do my spelling lists) and given it to them to listen to and write. This also frees you up to attend to another child. Narration is the simple tool of asking your child to “narrate” or “Tell back” to you whatever he or she has read or listened to. Narration is so simple and so effective. You can and should begin to ask your child to narrate when they are very young and continue to do so. At a young age, you can ask them what the story was about and you would physically write their words on paper for them. They may illustrate the page. Alternatively, you may decide to type it for them. As their writing skills increase they can copy their own narration. I would suggest that this is initially done by writing their own words on a paper and leaving a line for them to copy the words directly underneath. When that skill is achieved, they may be able to copy their own narration from the board, or from a separate piece of paper. Narration is an excellent tool. It forces the child to organize their thoughts. They need to sequence ideas and construct sentences. They need to draw on their memory and learn to express their thoughts. They need to choose words carefully and a child who has listened intently will often repeat the colourful language he has just heard. This increases their own vocabulary. Not every narration needs to be written down. It is firstly an oral skill, an extremely important oral skill which is needed as a precursor for writing. Narration can be done in many ways and is an excellent and simple approach on how to teach writing. It is a way to teach writing across all subject areas. Not only is it useful in the writing process, but it is the most effectual tool to see what your child has learned after they have read (or listened to) an assigned passage. Your child can narrate from any of the subjects you are teaching - from a Science book, Historical fiction novel, History Text, or Literature. In fact, it can be used wherever reading takes place. Your child may be reading about nouns in a grammar text. You may ask him to read the information and then tell you all the sorts of nouns there are (i.e. common, proper, abstract…) The narration can be as broad or as specific as you desire. Here are some Creative Writing Prompts or Narration Starters from Literature- Questions to ask after a literature reading or whole book. In our home, my children have narrated to me since they were very little- as soon as they can talk, they can "tell" things back to you. You can ask them to tell you about any story or poem you read – from early nursery rhymes to fairy tales. Depending on the time available, their narrations may be written out into special books or may just be an oral narration. Even when your child narrates orally, you are still teaching writing skills. We usually begin by narrating their own Bible Story Book. As we read the Bible stories, they narrate what happened and I copy their words into their own book. I use A4 Visual Arts Diaries for most of their subject areas, and I write the narration and they illustrate it. The beauty of this is that they have their own Bible Story book written by them and a lovely keepsake for themselves. This can also be done with Aesop’s fables – and made into a book. Most of the time a child can be prompted to narrate by just asking the child to tell what the passage was about. Sometimes, however, another prompt may be needed. There are many different creative writing prompts or narration starters which can help your child to begin a narration. Style is all about learning how to write effectively and with clarity. A child who has been taught to narrate from early on, has already learned to sequence and construct sentences and thoughts. This is a fantastic advantage. Read more about how to teaching writing with Style - how to teach writing with stylistic elements and how to understand the different forms of writing. How can I design my own homeschool Writing Curriculum? Modeling the Classics - Teaching Descriptive Writing.